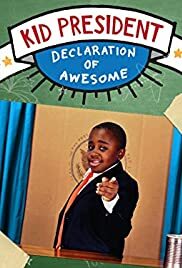 Kid President hosts a TV talk show that inspires viewers to make the world more awesome. He will explore different themes, chat with his celebrity friends, celebrate families from across America, and inspire people to change the world. The best Discovery Kids shows I saw. Kid President hosts a TV show that will make the world more awesome.